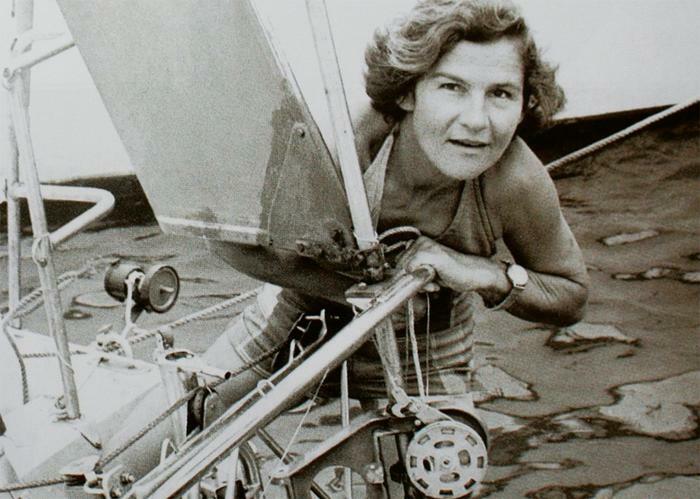 Krystyna Chojnowska-Liskiewicz (born 15 July 1936, in Poland) is the first woman to have sailed single-handed (i.e. solo) around the world, repeating the accomplishment of Joshua Slocum. 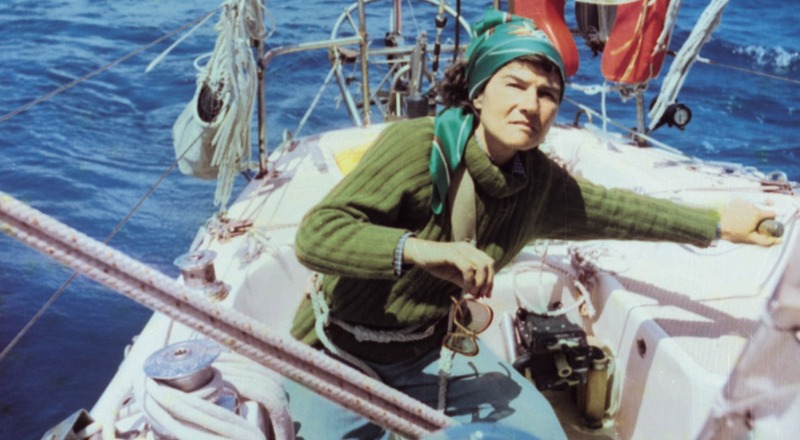 She sailed from the Canary Islands on 28 February 1976, and returned there on 21 April 1978, completing a circumnavigation of 31,166 nautical miles (57,719 km) in 401 days. 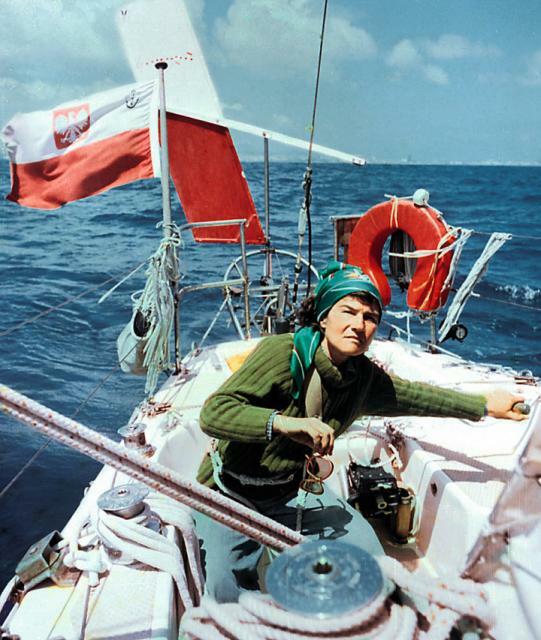 Krystyna Chojnowska-Liskiewicz carried out her westabout (east to west) voyage on Mazurek, a Conrad 32 sloop built in Poland. Mazurek was 9.51 metres (31.2 ft) long, with a beam of 2.70 metres (8.86 ft) and a sail area of 35 square metres (376.7 ft²). 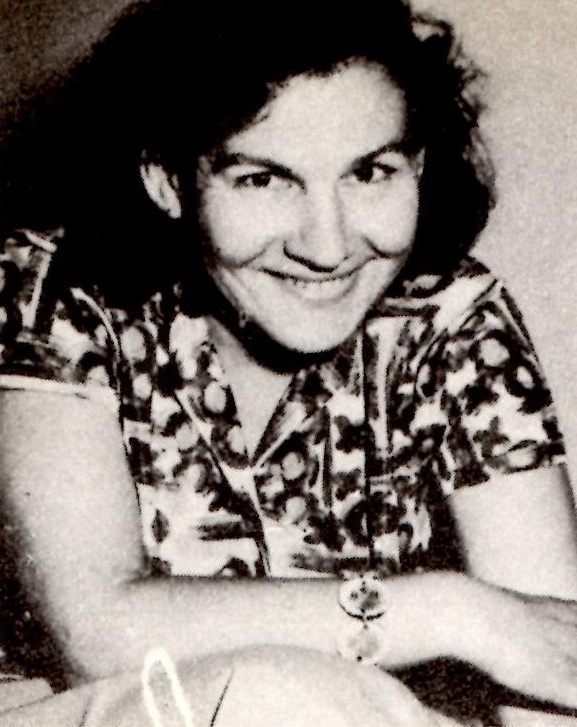 Mazurek's construction team was headed by Chojnowska-Liskiewicz's husband. She set sail from the Canary Islands on 28 February 1976, crossing the Atlantic Ocean to Barbados. She then sailed through the Caribbean Sea to the Panama Canal, and hence to the Pacific Ocean. After crossing the Pacific, Chojnowska-Liskiewicz sailed via Tahiti and Fiji to Australia, and then west across the Indian Ocean via Mauritius. After passing the Cape of Good Hope, she sailed north, and crossed her outbound track on 20 March 1978 at latitude 16° 08.5' north and longitude 35° 50' west. Chojnowska-Liskiewicz completed her voyage when she entered the port of Las Palmas de Gran Canaria on 21 April 1978, having sailed 31,166 nautical miles (57,719 km) in 401 days. 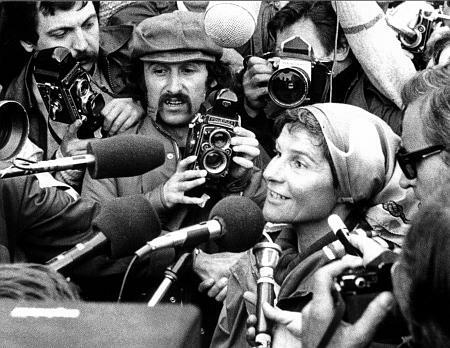 On 18 June 1978, she returned to Poland, where she is still seen as something of a national hero. She looked like an American woman in this photo.